Norsk Hydro has reached an agreement with the relevant Brazilian state and federal government bodies to resume production at the world’s biggest alumina refinery. Hydro announced that the plan to ramp back up operations at Alunorte in the state of Pará, which consists of two documents, was executed on Wednesday. The twin agreements consist of a Term of Adjusted Conduct (TAC) with signatories Alunorte – Alumina do Norte do Brasil S.A, Norsk Hydro do Brasil Ltda, the Ministério Público Federal (MPF), the Pará State Ministério Público (MPPA), and the State Government of Pará, by its agent the Secretariat of State of Environment and Sustainability (SEMAS), and a Term of Commitment (TC), which is an accord between Alunorte – Alumina do Norte do Brasil S.A and the State Government of Pará. Both plans defined several areas for improvement, but neither established a firm date for resumption of full production. Per Hydro, the TAC governs technical improvements to the site, audits and studies of the area, and food cards for families living in the vicinity of the Murucupi River, while the TC outlines certain other efforts being undertaken to provide for the benefit of the community of Barcarena. John Thuestad, Executive Vice President and head of Hydro’s business area Bauxite & Alumina, lauded the agreement as a significant step in the direction of returning the plant to full operation. “This is a milestone towards resuming normal operation at Alunorte. 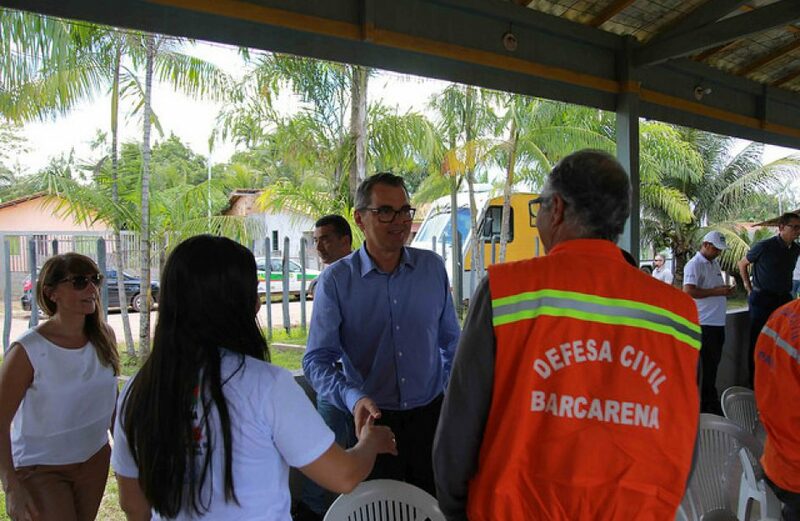 We are fully committed to the initiatives defined in the agreements with the Government of Pará and Ministério Público, which are complementing the measures under implementation at Alunorte. This will support continued safe operations at the plant. Operations at Alunorte are currently limited to 50 percent of full capacity due to government mandates put into place after a flooding event in February led to a suspected overflow of bauxite residue into the area’s waterways. Subsequent reviews found no such release occurred, but those same reviews determined several areas for improvement in the plant’s design and operation.